AWSS invites proposals for individual papers and panels for our first organizational conference at UIUC in June 2004. We welcome proposals in any field of Slavic/Eurasian/East European studies, including anthropology, art, film, history, library science, literature, music, political science, popular culture, sociology, and, of course, any aspect of women's studies. Work that crosses or challenges disciplinary boundaries is very welcome. Proposals for panels -- complete with chair and discussant -- are encouraged, but not preferred. All presenters must be AWSS members by the time they register for the event. 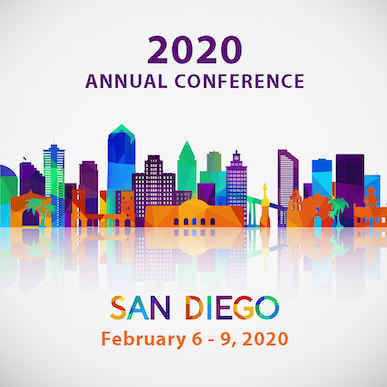 The Conference committee is proposing two workshops for the event -- "Career Planning" and "Getting Published" -- but other workshop proposals are welcome. All proposals must be submitted electronically to Professor Julie Brown, University of North Carolina-Greensboro, jvbrown@uncg.edu, who will distribute them to the multi-disciplinary Conference selection committee. ALL PROPOSALS ARE DUE MARCH 1, 2004. Applicants will be notified about their participation in the first week of April. Proposals for workshops must include a brief description of the topic and, if possible, should attach a list of possible presenters/facilitators. may be extended over two days depending on interest, will bring together the increasing numbers of scholars whose work concerns the theory and practices of education in Russia from 1861 to 1991. The rapid pace of modernisation from 1861 onwards generated unprecedented increases in literacy and the provision of basic schooling, whilst higher education expanded exponentially, changing the composition and self-definition of the intelligentsia. These educational developments played an important role in the growth of Russian civil society (obshchestvennost', as teachers and students each sought to define their role and place in Tsarist society. modernisation, caused further changes in an already unstable environment. education and curriculum reform after Stalin. proposals, we would expect to make some contribution to travel expenses, especially for scholars from outside of the European Union. Co-sponsored by the University of Pittsburgh and Ohio State University. Anyone interested in presenting a paper should submit an abstract of approximately 200 words to both Karin Sarsenov at Karin.Sarsenov@slav.lu.se and Helena Goscilo at goscilo@pitt.edu by December 19, 2003. The conference organizers welcome submissions by faculty and graduate students. reception in the National Gallery to conclude the conference at 5 p.m.
contribution which landscape has made to the Russian arts. Gray), at rpg27@cam.ac.uk, and Dr David Jackson, at d.jackson@leeds.ac.uk by 31st October 2003. Please also let us know if you are not offering a paper but would like to reserve a place on the conference. The organisers aim to respond to all proposals and finalise the programme by the end of the year. In celebration of the 125th anniversary of Kazimir Malevich's birth (1879-1935), The Malevich Society announces a conference with the theme, "Rethinking Malevich". Papers are invited addressing any aspect of this topic. Subjects might include: Malevich and the Ukraine; Malevich and Western Modernism; Malevich as scientist; Malevich's familial biography; Malevich's landscape painting; the historical and philosophical significance of Suprematism; Malevich and revolutionary politics; evaluation of recent publications on the artist; and the historiography of Malevich studies. The two day conference will be held on Friday and Saturday, February 6 and 7, 2004, in the Elebash Recital Hall of the Graduate School and University Center of the City University of New York, located at 365 Fifth Avenue at 34th Street in New York City. The proposal should consist of an approximately 500 word abstract of the paper you wish to present, a brief cv or resume, and your return e-mail or postal address for notification. The deadline for receipt of the proposal is August 1, 2003 Announcement of selected speakers will be made by September 20, 2003. Postal address: The Malevich Society, c/o Herrick, Feinstein LLP, 2 Park Avenue, New York, NY 10016 Telephone: 1-718-980-1805 E-mail address: malevichsociety@hotmail.com.